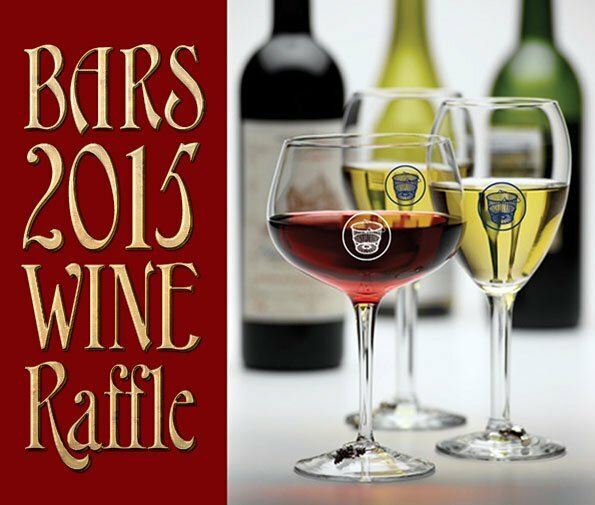 The winner of the BARS 2015 Wine Raffle will receive twenty four (24) bottles of fine wine. Only 250 tickets will be sold at $10 for single tickets or three tickets for $25. Drawing is December 1, 2015 at the BARS Annual Volunteer Appreciation Dinner–Christmas Party. You do not need to be present to win. Supports the BARS Scholarship Fund. The winner must be able to pick up the prize in person from BARS. This raffle is now over. The winner is John Ferrine, a long-time BARS member, volunteer, and supporter. Congratulations John!